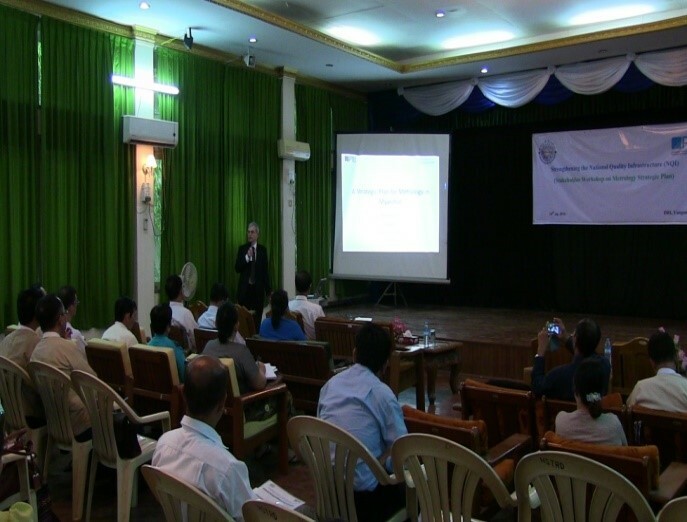 The Metrology Division within the Department of Research and Innovation (DRI) is the organization designated by law in Myanmar to develop, maintain and disseminate the national measurement standards of Myanmar to industry and Government. This is to ensure uniformity of measurement and their traceability to the international System on Units (SI) throughout the country. Providing education, training and consultancy in metrology to all stakeholders. 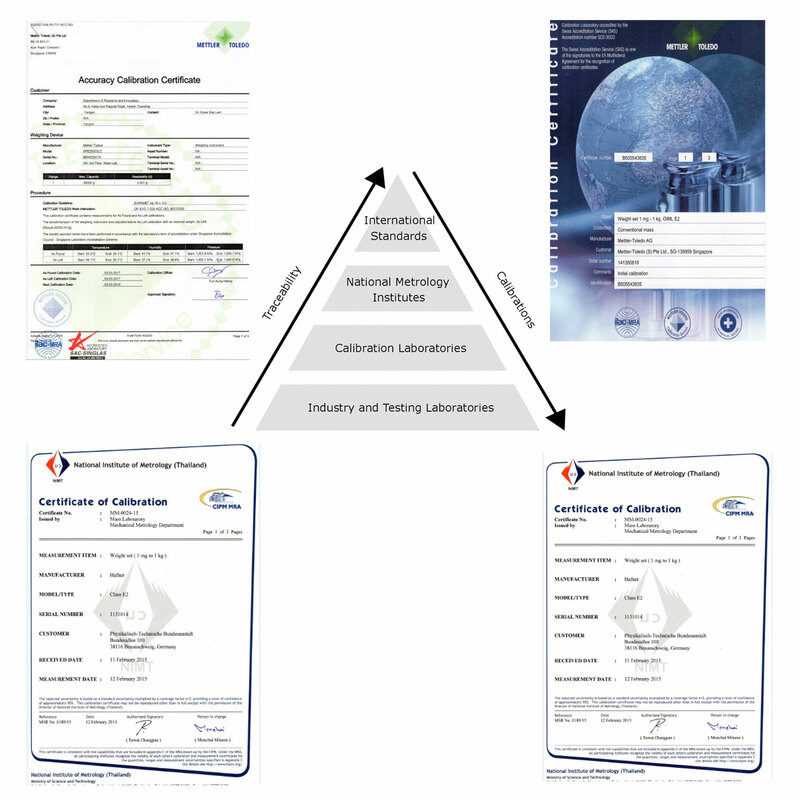 The Scientific Metrology has the responsibility of maintaining the national measurements standards and to disseminate them through calibrations services to industry and government laboratories. 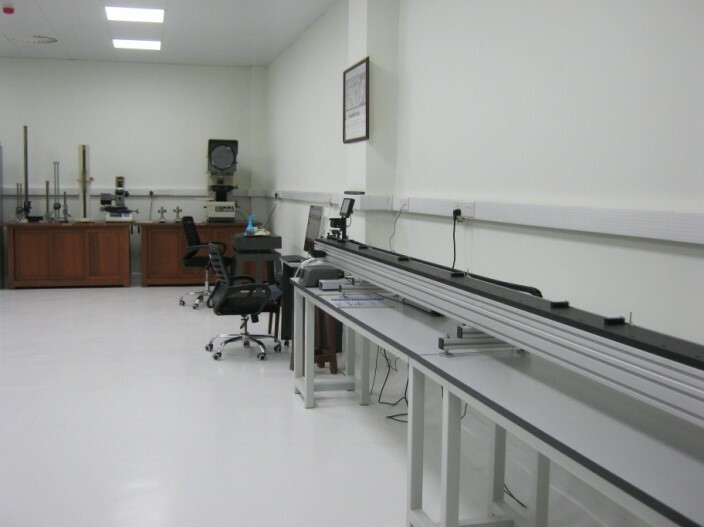 The Metrology Division has the basic equipment and instrumentation to serve as the highest order National Standards. Currently, the Metrology Division conducts measurement and calibration services for Mass, Temperature, Pressure, Dimensional, Electrical and Volume. 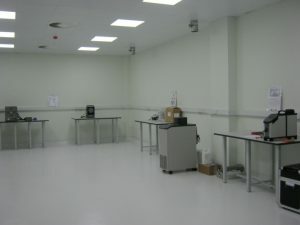 Our focus at this time is the refurbishment of our laboratories, acquiring modern suitable measurement standards and developing a quality system with the aim of the laboratories achieving internationally recognized accreditation. The Metrology Division will provide a host of verification and calibration services to industry and other stakeholders to insure that measurements made in factories are accurate and are traceable to our national measurement system. 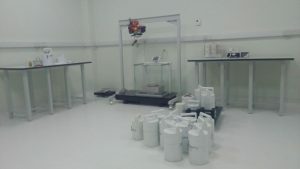 To implement above issues, Metrology Division will development high-level facilities of metrology laboratories to support verification of instruments and prepare as a priority to support the control of weighing instruments and prepackaged goods. The Metrology Division has to establish verification services for legal metrology after promulgating the Law on Metrology. 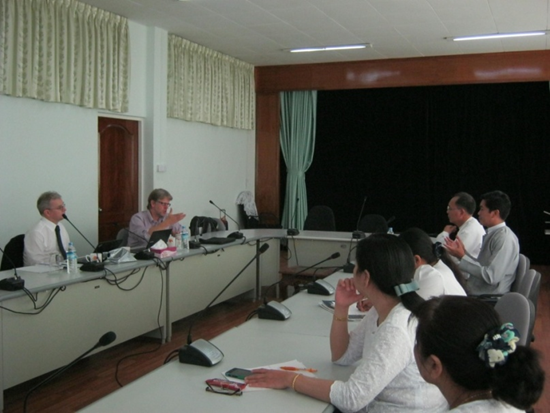 It is proposed to take a phased approach to the implementation of Legal metrology verification services for issuing verification certificates that a measuring instrument complies with Myanmar’s statutory requirements. The Metrology Division will oversee the setting of requirements for all measurements that will be regulated under the law and the technical requirements for the measuring instruments to be used for these measurements. As a starting point for implementation, the regulated measurements will include the fundamental trade measurements to ensure consumer production and a level playing field for manufacturers who produce prepackaged goods and other measureable products, which will promote competition and fair trade. Metrology is the “science of measurement”. Metrology includes all theoretical and practical aspects of measurement. A lot of people confuse metrology with meteorology , because the latter is well known from the daily weather forecasts in the newspapers, TV and radio. Metrology is the science of measurement and its application. It includes all aspects both theoretical and practical with reference to measurements. Whatever their uncertainty, and in whatever fields of science or technology they occur. We practically measure everything we encounter – e.g. the weight of our food, the volume of our fuel, the distance between two points, the temperature of the room, the noise at the workplace, and the list goes on and on. Wrong measurement results lead to wrong decisions, which can have serious consequences, costing a lot of money and even lives. Therefore it is important to have accurate and reliable measurements. How is Metrology used in everyday life? • Going to the gas station to fill up your vehicle and trying to figure out whether you are getting an exact litre of gas for the price you paid. • The scanners at grocery stores incorrectly reading the bar codes on items you are purchasing. • Getting your outsourced parts from one country to find out they do not fit the mating part made in another country. • Over filling (a loss to you) or under filling (illegal by trade laws) jars of peanut butter in your production facility. • Breaking a record at a sporting event by milliseconds and not receiving credit. • Administering a lifesaving medication when an overdose can have life threatening implications and an under dose can have no effects. • Having vision correction surgery using a laser technique without knowing whether the laser’s power is accurate. What are the different types of Metrology? • Scientific or fundamental metrology concerns the establishment of quantity systems, unit systems, units of measurement, the development of new measurement methods, realisation of measurement standards and the transfer of traceability from these standards to users in society. • Applied or industrial metrology concerns the application of measurement science to manufacturing and other processes and their use in society, ensuring the suitability of measurement instruments, their calibration and quality control of measurements. • Legal metrology concerns regulatory requirements of measurements and measuring instruments for the protection of health, public safety, the environment, enabling taxation, protection of consumers and fair trade. 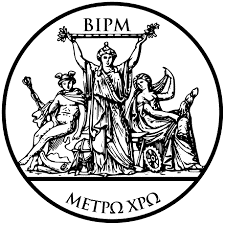 The International Bureau of Weights and Measures BIPM) was set up by the Metre Convention and has its headquarters near Paris, France. It is financed jointly by its Member States and operates under the exclusive supervision of the International Committee for Weights and Measures (CIPM). The CIPM is made up of eighteen individuals, each from a different Member State under the Metre Convention. Its principal task is to promote world-wide uniformity in units of measurement and it does this by direct action or by submitting draft resolutions to the General Conference. from direct dissemination of units (as in the case of mass and time) to coordination through international comparisons of national measurement standards (as in electricity and ionizing radiation). How do I make a good Measurement? Good measurement relies on the integrity of the measuring equipment used. It is often not easy to measure correctly. We rely on complicated instruments and if we do not understand their operational principles or know how to use them, we can easily get wrong results. The task of metrology, and indeed the job of a metrologist, is to achieve the dependable measurement results that are needed for ensuring quality and efficiency of production in industry, fairness in trade, consumer protection, health and safety of human and animal life and protection of the environment. 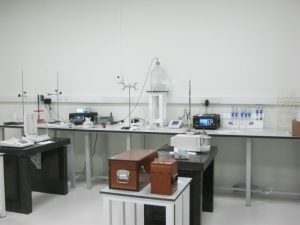 To this end, metrologists are continuously involved in the development of new measurement techniques, instrumentation and procedures, to satisfy the ever-increasing demand for accuracy, reliability and speed of measurements. What are the SI units? Why do we need them? The SI is a coherent system of units for the measurement of all physical quantities. It was started officially in France in 1799. There are seven base units which are generally defined and realised using methods linked as much as possible to a physical phenomenon that is natural and highly reproducible. The establishment of SI units has led to big productivity improvements. It has facilitated the universal use of the metric system of measurement and made it much easier for companies to import and export parts and models specified according to their measurement. Good measurement relies on the integrity of the measuring equipment used. No matter how sophisticated measuring equipment is, it degrades with time due to thermal, mechanical, electrical, and environmental effects. 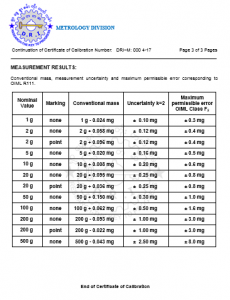 This degradation affects the reliability of the measurements and may be offset by a process known as calibration. 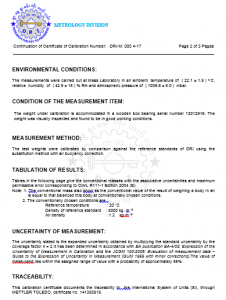 Calibration is simply the comparison of the measuring instrument or equipment’s performance to a reference standard of known accuracy, to determine the errors and adjustment required. 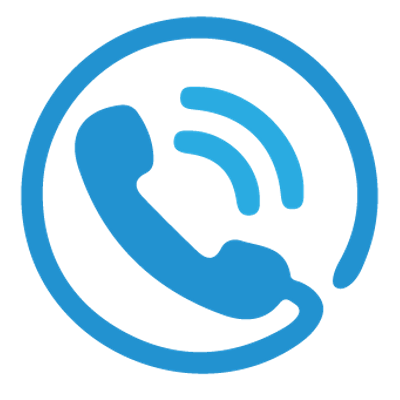 Properly calibrated equipment ensures the quality of the measurements made and provides confidence that the company’s products and services meet customer specifications all over the world. 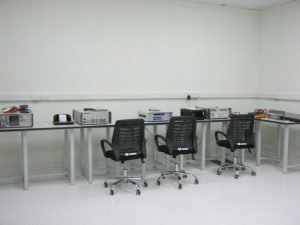 as well as the methods/conditions used in the calibration process. These records should demonstrate an unbroken chain of comparisons that ends at the agency responsible for maintaining and developing a country’s measurement standards (now generically known as a national metrology institute). 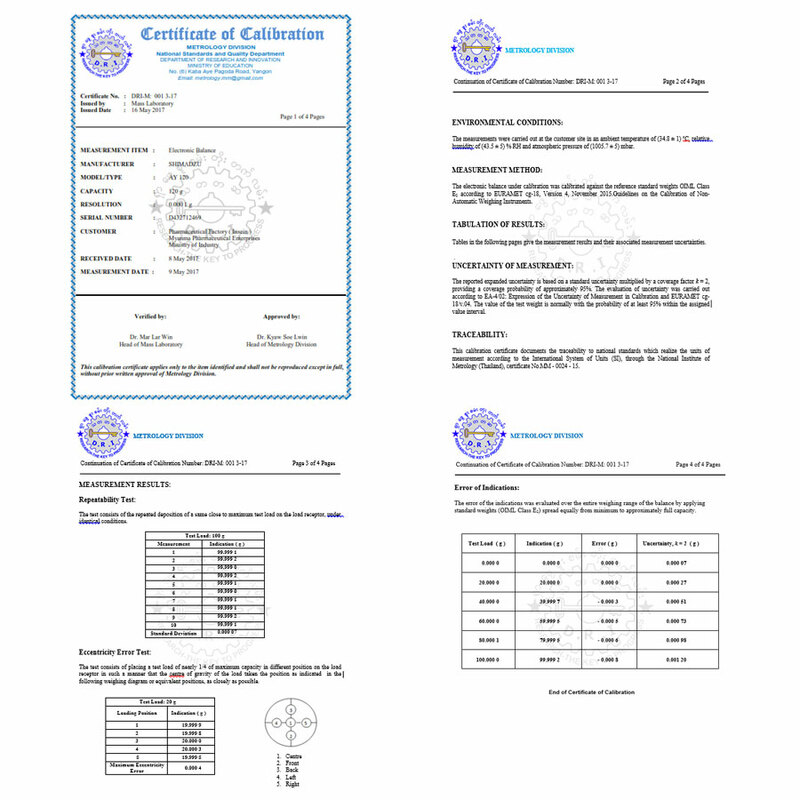 This demonstrable linkage to national standards, with known accuracy, is known as traceability. 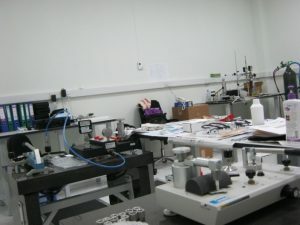 Today, new technology and innovation, development in industries worldwide, the growing practice of manufacturers jointly producing goods or providing services, the stiffer competition in trade, the greater expectations in public safety, consumer protection and healthcare, and the demand for higher quality of goods dictate an urgent need for greater accuracy, reliability and harmony in measurements within a country and among countries. Metrology, together with the other components of a country’s quality infrastructure (like standards, testing, certification, accreditation, quality assurance), ensures that one gets the right weight of rice or meat or the right volume of gasoline that one pays for. It ensures that spare parts of cars or airplanes made in one country accurately fit other parts produced in another country. It assures one that the radiation one gets from an x-ray machine is within safe limits. All these are possible with the right practice of metrology. All these are benefits from reliable and accurate measurements, whether they are related to the regulated areas (consumer protection & welfare) or the non-regulated areas (quality assurance, competitiveness and innovation). There are many reasons why a national metrology strategy is necessary. 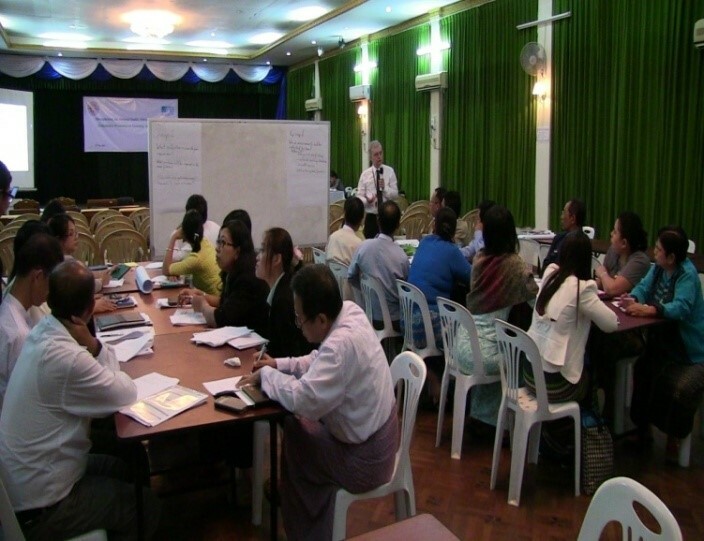 It will provide a much deeper understanding of metrology, create greater awareness and enable Myanmar to establish a national metrology infrastructure that is best suited to the accurate measurement needs of all Myanmar stakeholders. It will provide common goals for the private and public sectors working towards establishing a system that is in harmony with international metrology standards and best practices to achieve reliable, accurate measurements in the country. Formulating a consensual National vision in such a complex field requires an extensively multidimensional approach. Tradition, available human resources, industrial structure, existing centres of excellence, economic policy priorities, overall competitiveness of the economy are only some of the basic dimensions that have a direct impact on the National Strategy. 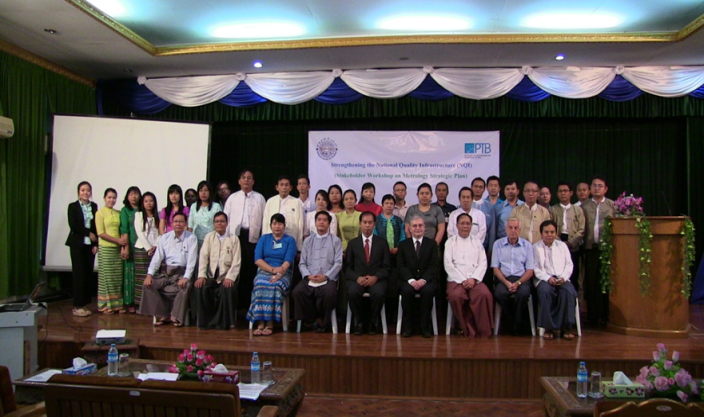 A national metrology strategy is a prerequisite to developing a strong national metrological infrastructure that, in turn, will help strengthen the position of Myanmar in its international commitments, such as the World Trade Organization(WTO-TBT Agreement) of the upcoming ASEAN 2015 economic community and implementation of ASEAN 2016-2025 strategic plan. It will also help establish Myanmar as an acceptable major production base in the Asian region for international markets and would lay a base for its commitment to better consumer welfare, public safety, or environmental change. A national metrology strategy shall increase the country’s chance of success through time in the complete implementation of an operating national quality infrastructure. The positive economic forecast for Myanmar made by government institutions and the private sector make it even more timely to develop a national metrology strategy if the country wants to achieve the economic prospects. ASEAN neighbours invested heavily in their metrological infrastructure and legal framework over the last years. 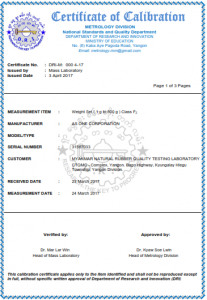 In Vietnam just recently a very modern metrology law came into force. 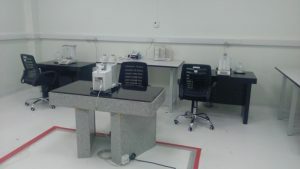 Thailand and other countries have an autonomous National Metrology Institute with its own budget. Notably impressive is the increase of measurement capabilities in these countries as well as in Indonesia, Malaysia and Philippines. Therefore it is now urgent for Myanmar to catch up in building a national quality infrastructure in which metrology is a key component and the National Metrology Institute (NMI) of Myanmar is the lead agency in the development of a national metrology strategy. conduct research on measurement issues. The Metrology Division has international cooperation with UNIDO, PTB, GIZ, JICA and USAID to promote a modern and effective metrology infrastructure. The metrology division is also the legal metrology focal point of WG3 under ACCSQ. The Metrology Division will soon be seeking membership and participation in international metrology organizations.